On April 11, 2018, comedy lost its godmother, and I lost my Fairy Godmother. 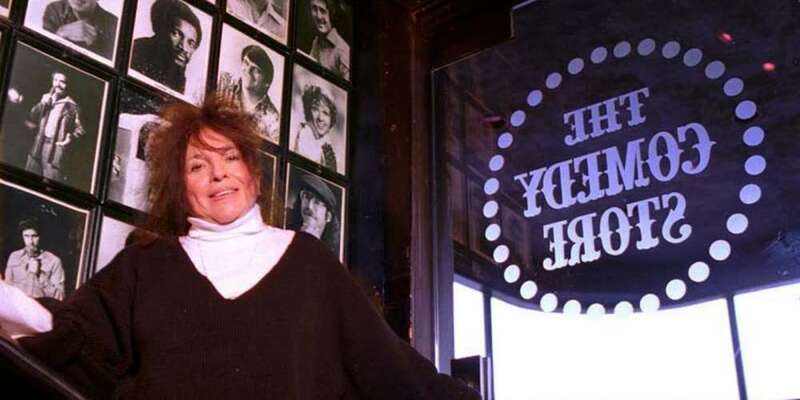 Mitzi Shore was the owner and founder of the most amazing stand-up comedy club in the world, The Comedy Store on Sunset Boulevard in Los Angeles. Mitzi started the careers of comedians all the way back to the 1970s. 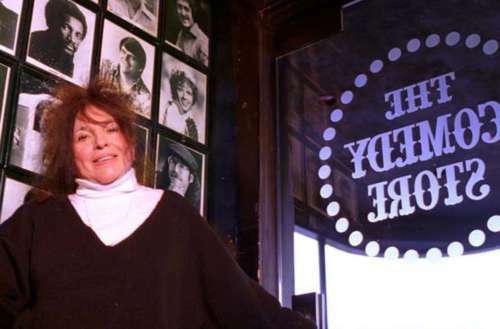 Mitzi Shore discovered household names like Robin Williams, Roseanne, Sandra Bernhard, David Letterman, Arsenio Hall, Chelsea Handler and Joe Rogan, and she plastered their names on her infamous Sunset Strip building. To a lot of comedians Mitzi was legend. She was folklore. She rarely came down from the top of her mountain to visit the commoners anymore in the 2000s, unlike in the ’70s through the ’90s when she would and could make-or-break you on the spot. She was queen. She was feared. She knew what she wanted. People would flock from all over the country back in the day just to get a shot at showcasing for Mitzi Shore, either in person, waiting in line for hours, or by VHS tape. People wanted a shot at being struck by Mitzi’s lightning bolt and to be acknowledged that they “got it” — the key to entering into her iconic fold. I personally was able to completely derail this process, and my life has never been the same. In 2008 the Recession was in full swing, and — surprise — no one was working. I was living off a strict diet of eggs and toast and thought to myself, “What the hell have I got to lose?” My entire life I was told I was funny. I was always the class clown, and like all good gays, I was the lead in every high school play. I wanted to take a stab at stand-up. I started doing monthly shows around town, from bars to broom closets, and finally, for once in my life, things made sense. In June of 2009 I was asked to perform at a “bringer show.” That means if you don’t bring at least 10 people, you don’t get up onstage. 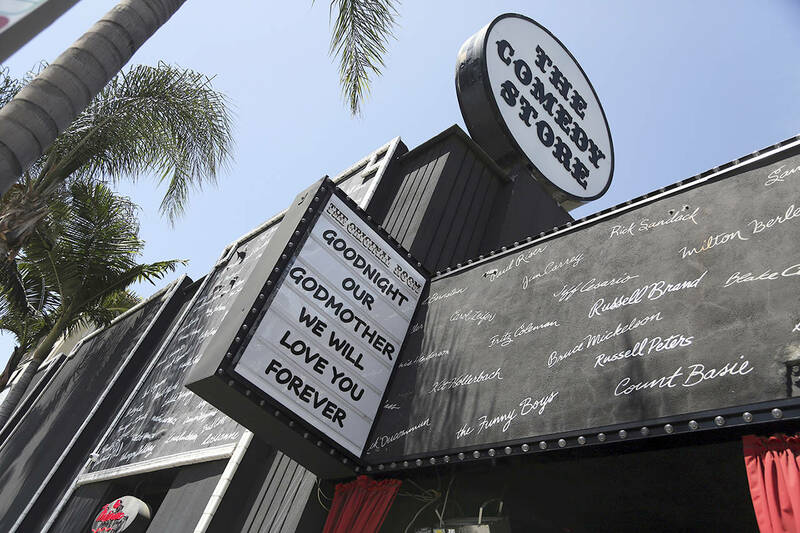 It was on a Friday night at the World Famous Comedy Store, on the Main Stage. I was ecstatic. I also threw up a little. No pressure, right? Friday came around, and coincidentally Michael Jackson had passed away the day before, and the world was rattled. His music played all throughout the club. People were out to celebrate his life and at the same time laugh. The Main Stage of The Comedy Store was packed, and there were 18 other hungry, bitter, ambitious comics vying for stage time. I was number 16 in the lineup. All of a sudden there was a mumbling throughout the crowd, and the producer of the show looked at someone else and said, “Martindale is third.” Well, thank you upgrade! I had no idea what was being said, and quite frankly I had no idea what was going on. You see, I just showed up. I bypassed everything. I never worked at the door, never showcased, never even knew Mitzi. But in six minutes this woman knew me. She saw through my soul and changed my life, and for that I will be forever grateful. Mitzi had just “passed” a gay paid regular. In stand-up there’s such a “bro code” of masculinity. But Mitzi Shore saw where comedy was headed. She saw me at my most vulnerable and saw that I was not going to change who I was as a person because of some lame, dated Hollywood stigma. Comedy is pain. It’s a person’s journey and voice. It’s real. I wasn’t about to pretend I was something I wasn’t. I had done that back home in Texas for 19 years. Mitzi knew it was time to spice it up. 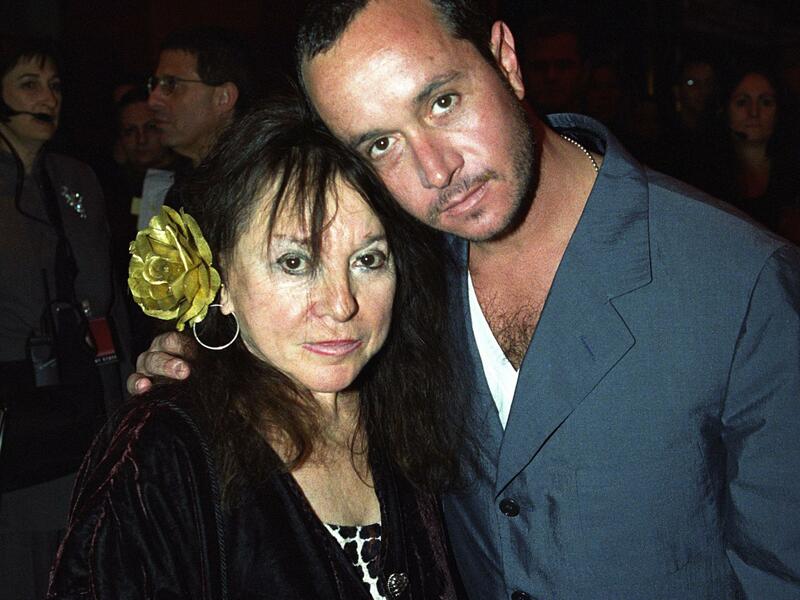 The last time I saw Mitzi Shore was in 2012, at the 40th reunion of The Comedy Store. She was frail and attended to by caretakers. She sat in her booth, per usual, and was adored by people from her past and present. I never got to say “thank you” for what she did to me that night. After she chose me, she vanished. I approached her with caution, introduced myself and held her hand. She looked and me with her squinted eyes and squeezed my hand. That’s all I needed — that contact. That personal validation that made me feel as if I’d been knighted. That was the last I ever saw of her, but it made sense. Mitzi Shore will be missed by many. She was a beast among men. The lives she touched and the legend of her will live on for generations. I know every time I look at my name scrawled on the outside of The Comedy Store, I’m home, and I’ll never forget the mother who took me in.